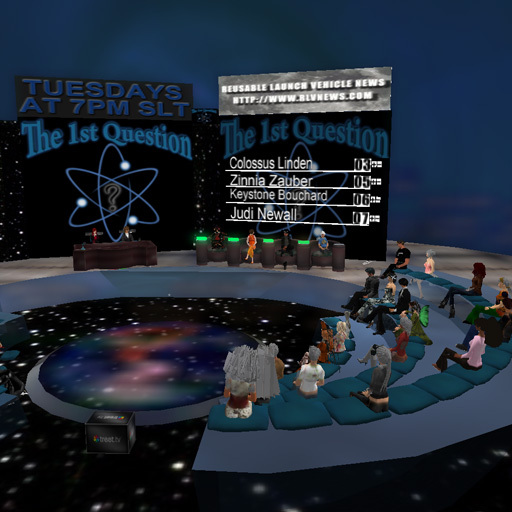 Guest on the 1st Question in Second Life! Wow! 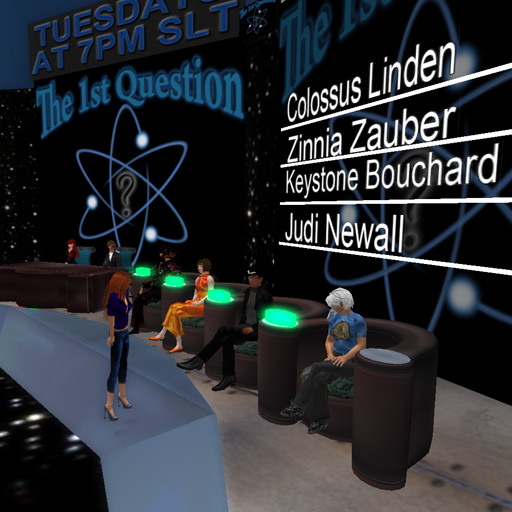 I was a contestant on the Second Life game show, The 1st Question! Our hosts Pooky Amsterdam and Xanshin Paz, stepping in for Hydra Shaftoe, were fun and funny while making us feel welcome and very smart. Petlove Petshop helped my fellow contestants, Colossus Linden, Keystone Bouchard, and Judi Newall, get set up and comfy for the show. It was my first time center stage on Live SL TV and I learned a lot in the process, as well as, all the exciting questions had amazing answers. The audience and my peeps were there to share their smarts and wit. I really enjoyed myself and thankful that I was asked to be on the show! What a bunch of pros that are educating and entertaining as we all feel like we can be part of what makes Second Life so affective! Wow! Thank you for your kind and positive comments! It's true that the 1st Question is an extraordinary show! It's unique! There's nothing else like it on the web. No industry seems to have realized the implications of the existance of The 1st Question yet. The show is over a year old now! Weekly episodes have created a loyal, devoted base of real-time audience participants and panelists. As a middle school teacher, my heart's desire is to use a format similar to this with my students. They would love it! Pooky Amsterdam has created an amazing tool here. There is no setting in which this format would not generate a community base, branding, and learning opportunities at the cutting edge of the social networking phenomenon that we are in the middle of at this very moment. Thanks for listening!